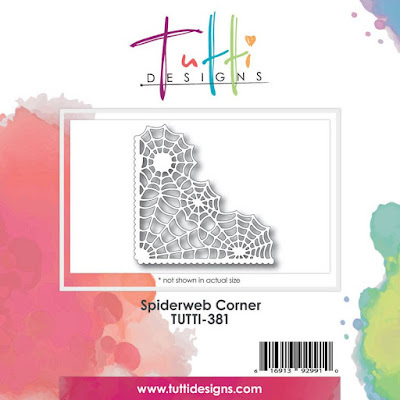 Tutti Designs: Trick or Treat! Today I have a fun Halloween card to share with you. 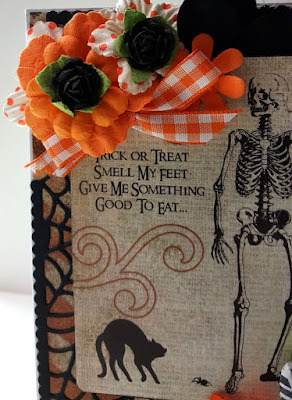 I have a fun Halloween paper pack with cut outs and thought it would make a great card!! Add flowers and a bow for a finishing touch. 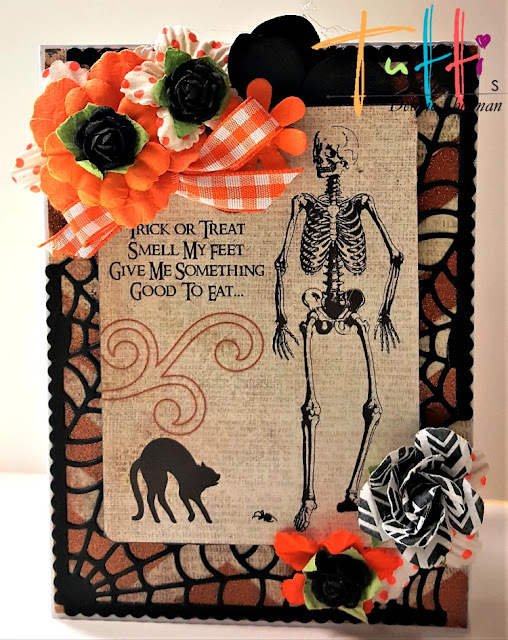 What a fun Halloween card Debbie! LOL ... we used to say that verse when we were kids and think it was SO FUNNY! Thanks for fun memories! Super Halloween card, Debbie! Love the mix of flowers...I spotted some older Prima ones in there. I have them too. LOL! Great use of the spider web as a background.